Browse our options for Ford Transit Trade Packages. Browse our options for Transit Connect Trade Packages. Browse our options for ProMaster Trade Packages. Browse our options for ProMaster City Trade Packages. Browse our options for Express Trade Packages. Browse our options for City Express/NV200 Trade Packages. Browse our options for NV Trade Packages. Browse our options for Sprinter Trade Packages. Get more out of your work van: trade packages are designed specifically with your trade in mind. Our aim is to ensure that your most frequently used tools and equipment are well within reach. 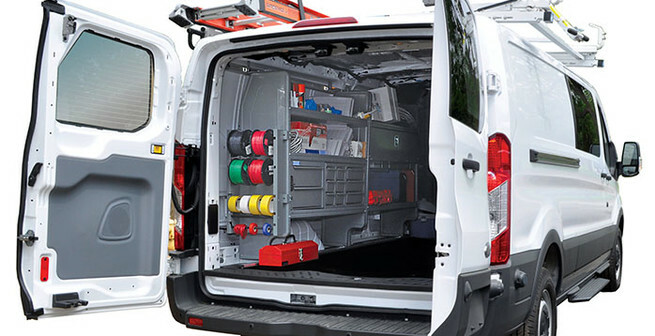 We offer products are available for nearly all of the most popular work vans, and our packages are designed to fit your vehicle perfectly.